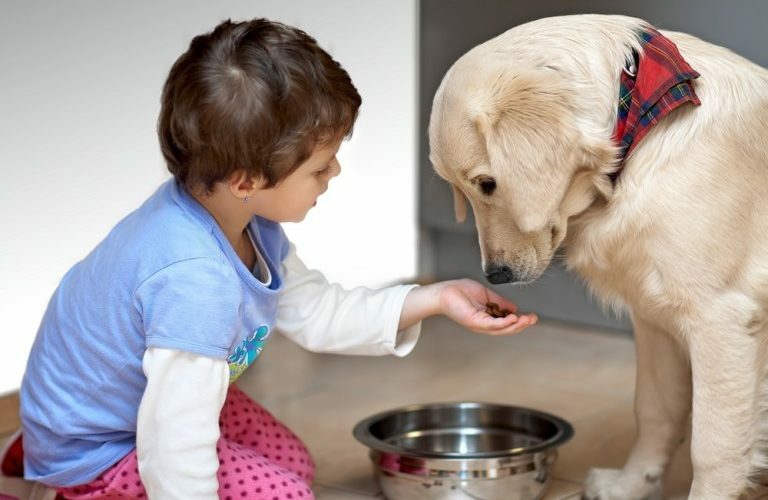 It is often said that dogs can teach kids a lot about responsibility, but why is this? When we invest in puppies or older dogs for our children, we rarely think about the long-term consequences and how the dogs will educate our children. Most of the time, it is about having fun and finding an outlet for our children’s youthful energy. In some cases, it is likely because the children have pestered their parents for a pet. So, what can a dog teach our children about life? Recent studies in dog behaviour and cognition strongly suggest that our dogs are much smarter than we give them credit for. Rather than simply being furry playthings for our children, they are highly adapted to their environment and understand us more than we think they do. In fact, dogs are the only other animal species on the planet apart from humans that can read and interpret human body language without being trained. Dogs live moment to moment and are highly social creatures. Their sociability and adaptability makes them ideal companions for children because they seek out the company of children. More recent studies in dog behaviour even suggest that dogs play with each other using a strict code of conduct. At first, this may seem obvious, but having any kind of moral or behavioural code also suggests that dogs are aware of themselves and are conscious creatures rather than just reactive instinctual ones. Being present: Because your dog lives in the moment, it can teach a child, and the rest of us, that being present is the key to enjoying life. We know that dogs live in the moment because of their emotional adaptability. They are emotionally robust and flexible and don’t tend to dwell on things, unlike us. Responsibility: Even though your dog is highly adaptable, every domesticated dog will depend on you for food, comfort, and shelter. These responsibilities are important for your child to understand and will inevitably teach him or her about what it means to take care of another sentient being. It is important for every child with a dog to understand how to care for him or her properly. This is not only practical for the dog but will also teach your child the value and necessity of taking responsibility into adulthood. By taking care of a dog, your child learns to step outside of himself or herself and see the world through another point of view. One way to teach this sort of responsibility is to have your child feed the dog on a weekly basis. He or she will learn about the value of premium dog food and meeting the needs of another living being. It is also useful for your child to learn to walk the dog on a lead and learn to control the dog as they are walking. This will teach your dog to respect your child as an important part of the pack and will also teach your child what it means to exercise the dog and take care of him or her.